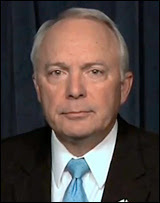 Representative John Kline of Minnesota, chairman of the House Education and Workforce Committee, has provided his solution to the overreach of the US Department of Education that has given us Common Core and a host of other education accountability programs that have robbed our states of their sovereignty over education. 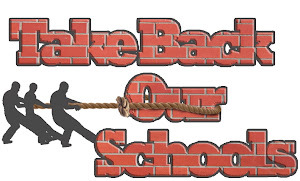 The Student Success Act, if passed, would empower local control of education, returning choices for what is best for our children to the closest possible authority: parents, teachers, districts, and state government. There are currently more than 80 distinct federal programs that are supposed to promote student achievement. The Student Success Act would eliminate more than 70 of those programs and replace them with grant funding that states and school districts would have the flexibility to use to tailor programs to their local needs. Instead of Washington bureaucrats making decisions, the legislation would allow superintendents, school leaders, and local officials to make funding decisions based on what they know will help improve student learning. In addition, the Student Success Act would require the U.S. secretary of education to identify and eliminate positions associated with those programs. 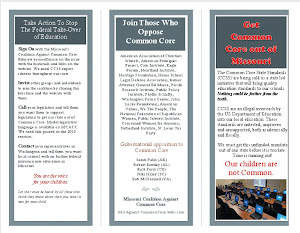 These changes are consistent with the message being delivered by the Missouri Coalition Against Common Core. Accountability is all well and good, but it is important to be accountable to the right source for the things that are most important to the people actually paying the dollars. Our current system, and the one we will have going forward, moves that accountability further and further away from the local district and the local taxpayers. We send our money to Washington and then have to do the dance they want to get a portion of it back (through IDEA, Title I and the other 75 programs.) Lesson plans and curriculums are designed around the goals of people far removed from the state. 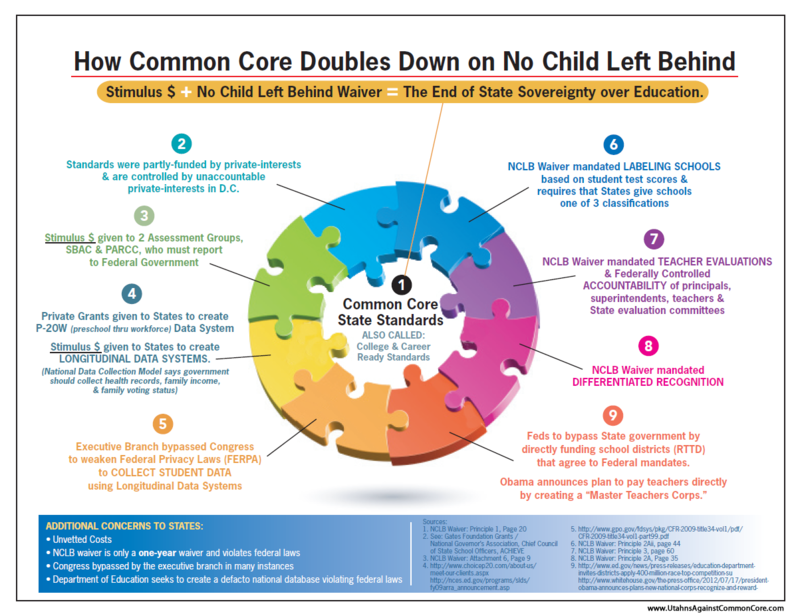 Even the goals of "college and career ready" laid out by CCSSI are not necessarily the goals of all school districts for all children. Yet 100% of the school's focus will now be those goals. With the average district getting on 7% of its funding from the feds (some as low as 2% and the high only being around 15%), it is absurd how much control the US Department of Education has over local school districts. MCACC has pointed out repeatedly the existing federal laws that limit the authority of the USDoEd that are not being followed. If it takes yet another congressional act to to force the USDoEd to adhere to the restrictions placed on it, then so be it. In the end it does not seem likely that DC will voluntarily back off. It will be up to the states and the local districts to stand up and assert the rights they already have, to say "We do not see the benefit to us in supplying you with all the reporting your program requires," "The seed money you want to dangle in front of us is pitiful compared to the lifetime cost of running this program. Regardless of the benefits you claim the program will have, we will not establish and then accustom our taxpayers to a program we cannot afford to keep running." To the extent that Congress can cut off the funding of the people who would threaten to cut off the return of our money to us to keep us dancing their dance, we applaud the efforts of the House Education Committee. SSA will not completely stop that process. The department will still be doling out funds in the form of grants. SSA will only remove DoEd's ability to dictate the exact conditions to be met to receive the money. Beyond that, the solution lies in reclaiming our legal and rightful local control.